Also known as ‘grit sand’ or ‘concrete sand’, washed sharp sand is more coarse and has larger particles than other construction sands such as builder’s sand, which consists of finer grains. Having a larger grain size than other types of sand means sharp sand is slightly heavier. Typically, sharp sand is used within applications where more strength and less flexibility is required. For example, it is ideal for mixing concrete and is commonly used for floor screeds and laying paving courses. In addition to construction projects, sharp sand can also be used as a top dressing for lawns, in general landscaping and in seed composts, because it enables moisture movement. Below, we take a look at common uses of washed sharp sand for typical applications, including concreting, screeding and as a base for laying paving. Screed is a thin layer of concrete, which is poured over the base concrete, to provide a flat and smooth surface that the final floor or wall covering can be applied to. Most screeds are made with cement and sharp sand. Using sharp sand in screeds provides more strength compared to using other types of sand. Sharp sand is commonly used when laying paving courses, such as driveways, paths and patios. When paving, the sand needs to be salt-free to avoid the paving slabs that lie on top of it being eroded and damaged. It’s also desirable to use a sand that provides good drainage. Sharp sand is ideal for paving as it has a low salt and silt content and drains freely. Sharp sand is mixed with concrete for a wide range of construction projects. Using sharp sand in concrete provides more strength and less flexibility compared to other types of sand. Mortar is a mix of fine sand particles, cement and water, which can also include lime. Mortar is typically used for bricklaying and pointing. Sharp sand is ideal for mixing with other sands to increase the strength of the mortar and for when it needs to be less workable. A key benefit of adding sharp sand to the mortar mix is that it can prevent cracking during the drying process. Sharp sand is typically used when a thicker layer of mortar is required, such as for chimney flaunching, bedding roof tiles and in garden projects. Sharp sand drains freely, making it an ideal aggregate for using on lawns and in landscaping. The large grain size, low silt and clay content make sharp sand a free-draining material. ‘Washed’ refers to the process of removing clay, silt, dust and other unwanted particles from the sand. Once the excess materials have been removed, the sand is left to drain. Washed sand is ideal for rendering, mixing concrete and for making a less malleable mortar that is often used for and flagstones. The individual grains are jagged (angular) which creates an interlock between the grains. The interlocking of grains provides ‘strength’ in applications such as when mixing concrete or when using as a base layer under paving. The larger grain size of sharp sand reduces the amount of retained water, making it very free draining. Excellent drainage properties make sharp sand ideal for using as a foundation layer for paving and patios or in landscaping. Sharp sand has a low silt and clay content, which also makes it a freely draining material. Being free from silt is desirable for paving, as silt and salt erode paving slabs. Being silt and salt free also makes sharp sand suitable for mixing concrete. Avon Material Supplies (AMS) are leading suppliers of washed sharp sand (grit) to businesses, construction sites and members of the public throughout Bournemouth, Poole, Dorset and Hampshire. To learn more or to place an order, please contact our expert team on 01202 579579. 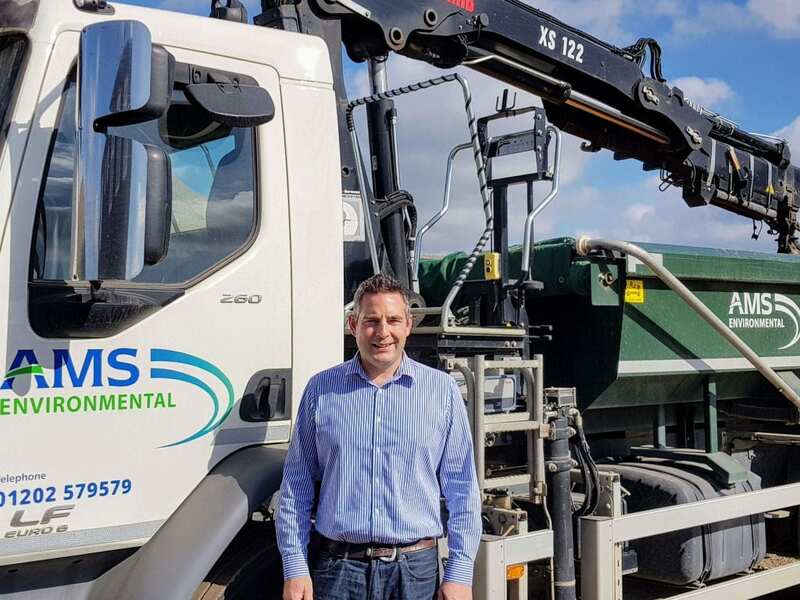 Highly skilled waste recovery specialist, James Howarth has joined leading Dorset based aggregate and haulage supplier, Avon Material Supplies (AMS) as their Project Development Manager. This appointment allows AMS to directly benefit from the wealth of knowledge and practical experience James has accrued during his 10 years employment in the senior management teams at two of the UK’s largest waste management organisations. The ‘hands-on’ involvement James has had is underpinned by various accreditations, including; a certificate in NEBOSH, a health, safety & environmental practice and management qualification as well as the industry known certification in Six Sigma Green Belt. Utilising his unrivaled experience and knowledge of the local area, AMS have high expectations of James securing short and medium to long-term disposal options, which will allow the organisation to recover and reuse waste materials that currently are not recycled at their Canford Inert Recycling facility. In addition to researching and opening new disposal channels, James is also expected to play a pivotal role in enhancing the existing strategy AMS relies upon to remain highly successful in the competitive marketplaces that AMS currently operates in. Founded in 1993, Avon Material Supplies is now in its 25th year of business and is regarded as one of the leading aggregate and haulage suppliers in Dorset, Somerset, and West Hampshire. 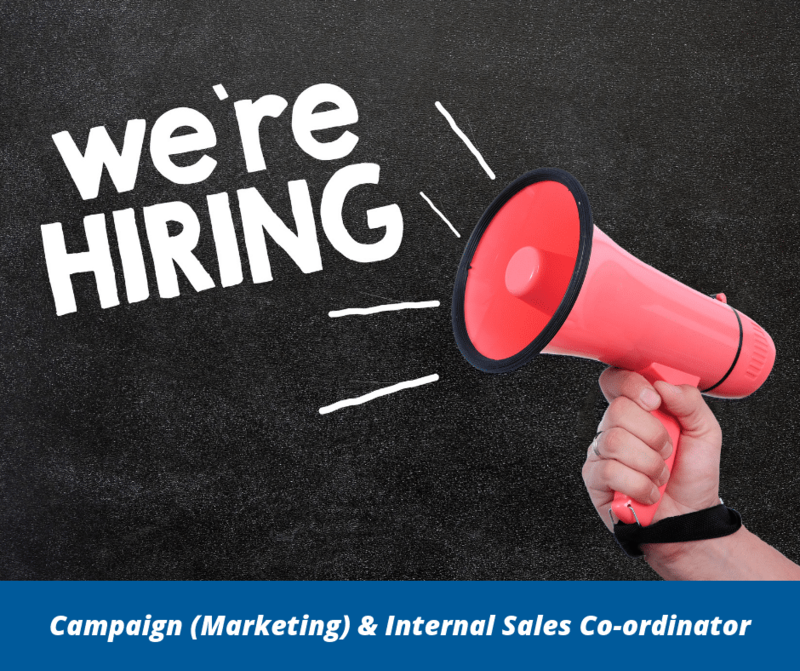 We are recruiting for the role of Campaign (Marketing) & Internal Sales Co-ordinator at our office on the Woolsbridge Industrial Estate near Three Legged Cross. 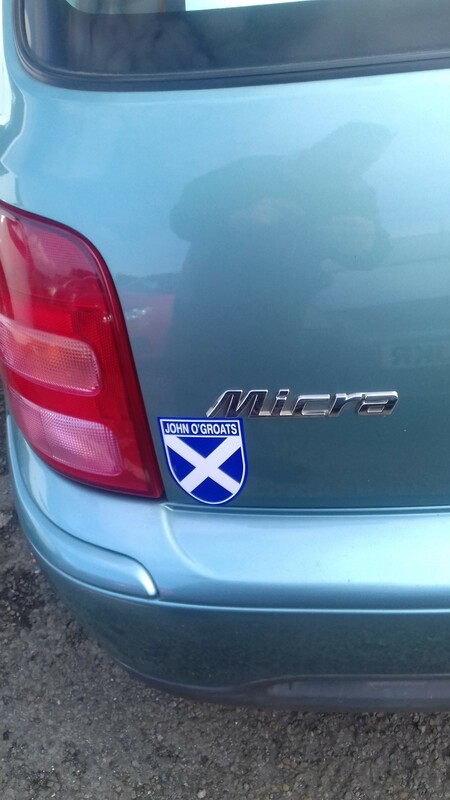 To deal with all web-based enquiries and new business related emails sent to our main email account.In addition, the Campaign (Marketing) & Internal Co-ordinator will be required to distribute regular email campaigns to our existing customer database. Day to day responsibilities will include generating new business from incoming enquiries, following up on live on-going enquiries, requesting online reviews from clients, updating CRM (customer relationship management) / IT systems and reporting on success levels. Alongside the completion of daily tasks, the successful candidate will be required to provide occasional cover for the AMS Sales Office, specifically on Thursday afternoons until 5pm. Days flexible to suit the successful candidate, with hours in the region of 16 to 20 hours per week. For further details and information please download our job description and apply by email to enquiries@avonmaterialsupplies.co.uk. The Directors of Avon Material Supplies (AMS) are delighted to announce that three vastly knowledgeable, highly skilled professionals have recently joined the business. The successful individuals Zania Wilkinson, Paul Harper, and James Howarth were chosen from a large number of candidates because each of them was able to demonstrate a superior level of expertise in their chosen specialisms. The roles the new recruits will occupy are Transport Co-ordinator (Zania), Transport Manager (Paul) and Project Development Manager (James). 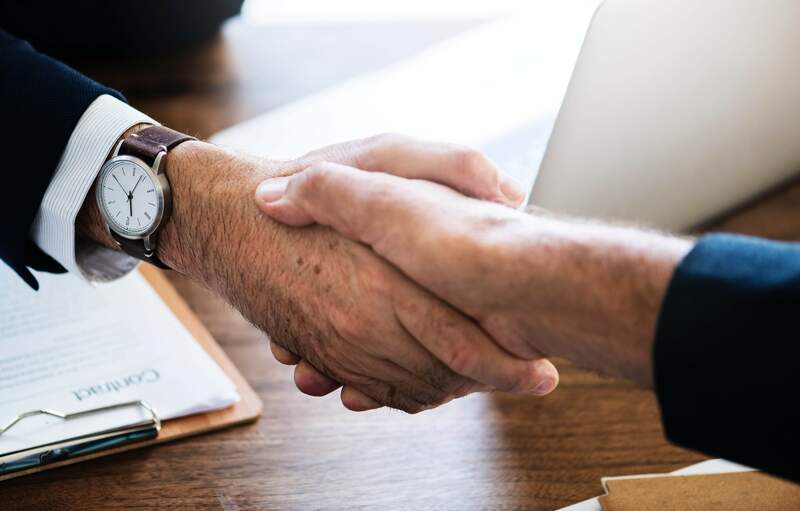 These appointments are expected to help AMS to maintain its high levels of customer satisfaction whilst also creating capacity within the business to explore new opportunities and markets. 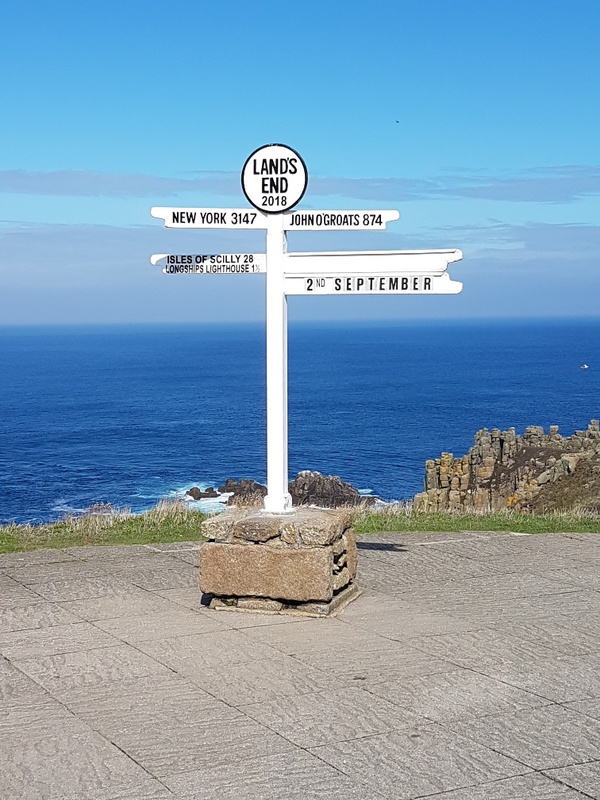 Paul Harper, Transport Manager for Avon Material Supplies has recently completed a charity driving challenge from John O’Groats in Scotland to Lands End in Cornwall. The challenge was different because of the amount of petrol and time Paul was allowed to use to complete his journey. Here’s a rundown of how his trip went. 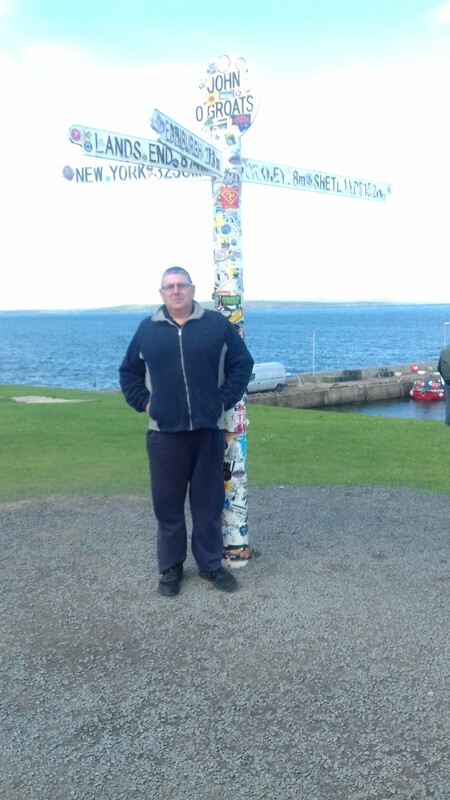 Beginning his journey from John O’Groats on Saturday 1st September at 05:30 am, Paul drove the first 280 miles to get him to Edinburgh. 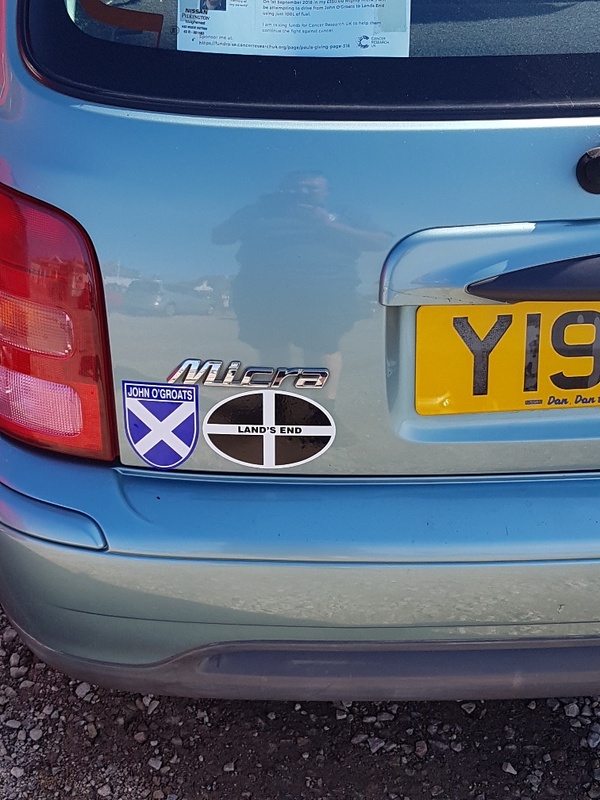 A well-deserved quick pit stop for coffee and fuel was waiting for him, but keen to skip the traffic he decided to avoid the motorways for the next part of his journey. Another full tank of petrol got Paul to Retford in Nottingham, at this point he had travelled over 520 miles in his Micra, but day 1 didn’t stop there. With another refuel and cup of coffee, he was ready to endure some more miles. 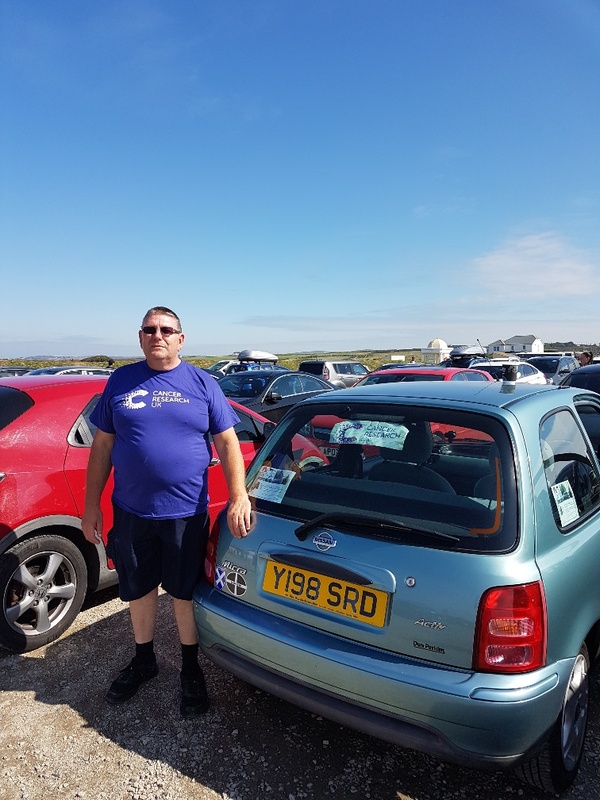 With light traffic, great weather and the Micra performing well, Paul decided to push on past Leicester, the original planned overnight stop and drive on to Cirencester. Day 1 finished at 8 pm with a total of 661 miles driven. An early 5.00 am start on Sunday, meant Paul was on track to finish his challenge in good time. With the third fuel stop of the trip complete, Paul headed for Plymouth, which would be his next rest point. 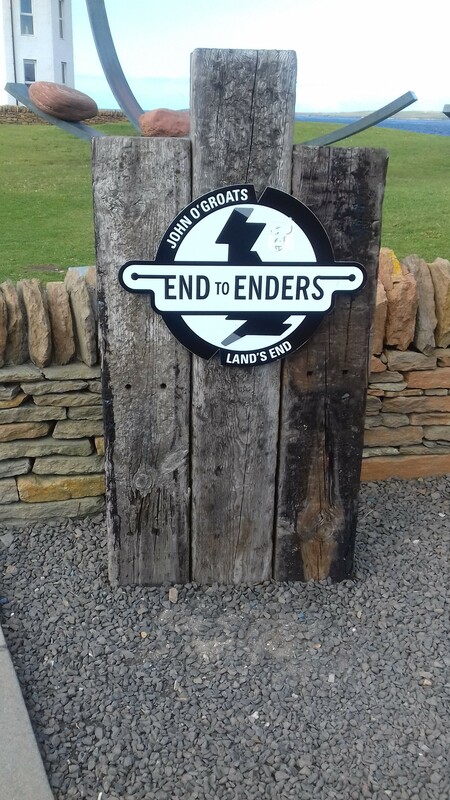 Knowing this would then leave only 75 miles to cover, Paul could continue safe in the knowledge, the finish was in sight. 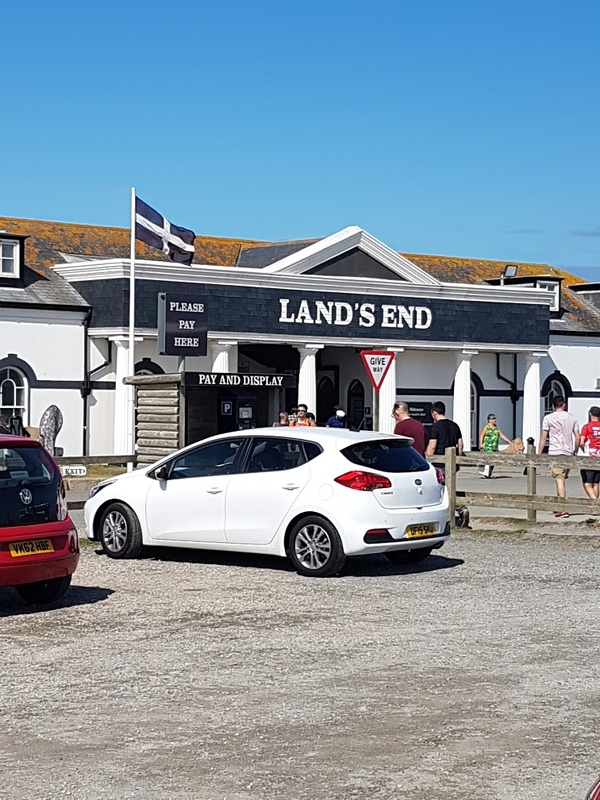 Finishing the challenge after 20.5 hours of driving, Paul arrived at 11 am at Lands End after using 87 litres of petrol and travelling 952 miles with no need to add extra oil or water. As fun as the challenge was, Paul was raising money for the Cancer Research UK. So far he has raised a total of £1110 and with a target of £1500, he’s very close to his goal. Paul Harper has joined leading Dorset based aggregate and haulage supplier, Avon Material Supplies (AMS) as their Transport Manager. With almost 30 years of experience in the transport industry, including challenging roles as both a Network and Operations Manager, Paul brings a wealth knowledge to the already, highly skilled AMS management team. 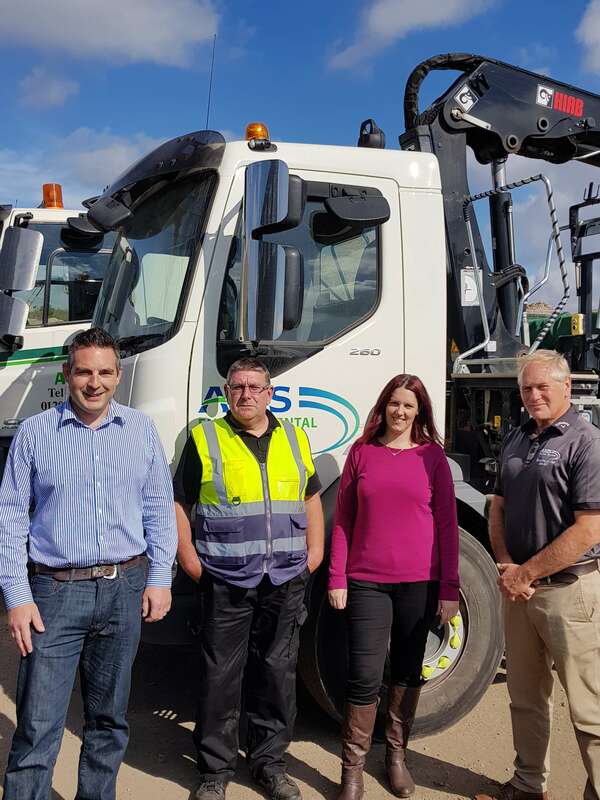 The role of a Transport Manager at AMS is diverse and will involve Paul overseeing the operation and upkeep of a large vehicle fleet, which includes variously sized tipper, skip and grab trucks. In addition to this, Paul will be working closely with the skilled drivers employed by AMS to ensure the fleet continues to be operated safely in an efficient manner that is environmentally conscious. It is also hoped that Paul’s proven background in transport, management, compliance and engineering will allow AMS to achieve higher fuel efficiencies and lower ongoing maintenance costs without compromising the organisation’s high service standards. With a healthy ‘fleet’ of accreditations and qualifications under his belt, Paul will be supporting both the Managing Director Ian Mariner and General Manager Niall Roberts, with the day-to-day management of Avon Material Supplies. Founded in 1993, Avon Material Supplies is now one of the leading aggregate and haulage suppliers in Dorset, Somerset and West Hampshire.